Snowfall Snowman's come to visit! 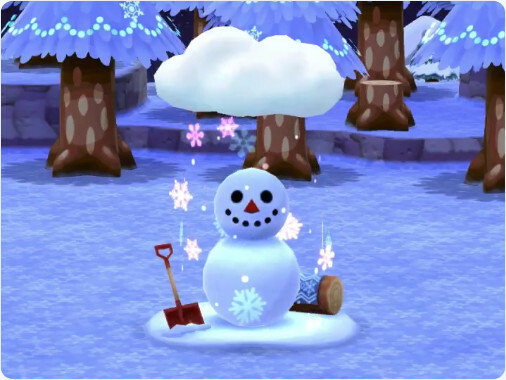 Invite Snowfall Snowman to stay in your campsite via the crafting menu. Available from January 25th until March 26th, it costs 350 Leaf Tickets. In the first half of February, you will be given a Best-Friend Confection to give to your favourite animal resident. You only get one though! 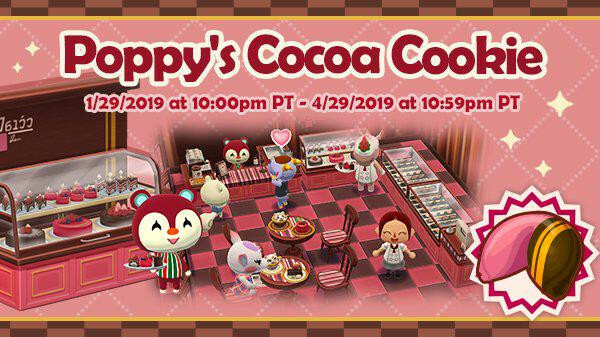 Additionally, Poppy's Cocoa Cookie is now available from Tommy in Market Place! Available from January 30th until April 30th, you can unlock new furniture, clothing, and a special memory featuring Poppy. It costs the usual 50 Leaf Tickets, and it should be possible to acquire these cookies from Tommy for 5000 every so often. There is also a 5 pack of the cookies that costs 250 Leaf Tickets and grants 5+1 stamps.